Jeff N. Dunphy graduated from St. Louis University School of Law in 1997, at which time he began working as an attorney for Kilo, Flynn, P.C., a general practice law firm in the City of St. Louis. Over the last 20 years, Mr. Dunphy has handled a wide variety of legal matters, including Family Law, Contracts Law, Personal Injury, Criminal Defense and General Civil Litigation. 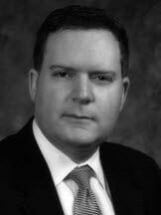 Mr. Dunphy now focuses his practice in matters of Family Law and Personal Injury. He is an “AV” rated attorney by Martindale-Hubbell, the highest rating an individual attorney can achieve.